How do African American women fare within the entrepreneurial universe? 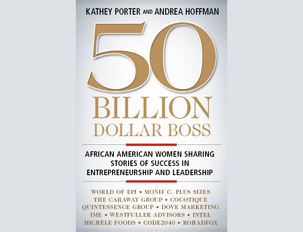 Quite frankly, that’s the million-dollar question–asked and answered by small business expert Kathey Porter and business growth expert Andrea Hoffman, authors of 50 Billion Dollar Boss: African American Women Sharing Stories of Success in Entrepreneurship and Leadership. But this is not merely some academic exercise for Porter and Hoffman as they both live and breathe this stuff. In fact, both have dedicated their careers to mastering the nuts and bolts of their craft ad nauseam. 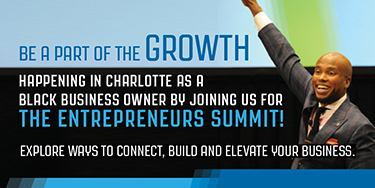 With an impressive wheelhouse of expertise that includes small business development, Fortune 500 consulting, supplier diversity and entrepreneurship, it’s no wonder they are looking to change the way that African American women show up in the world of business. Porter knows the lay of the entrepreneurial land quite well. She has owned several businesses and is currently the Director of Small Business and Vendor Diversity Relations with the University of Florida. Her experience as an adjunct instructor spans over ten years and includes stints at Virginia Tech – Pamplin College of Business, Savannah State University, Savannah College of Art & Design (SCAD), Strayer University, Columbia College and University of Phoenix. 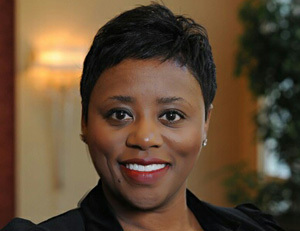 Kathey received her MBA from Georgia Southern University, BBA from Savannah State University and a CPSD (Certified Professional in Supplier Diversity) through the Institute for Supply Management. She developed a strong acumen for branding and marketing while working as a marketing executive for Fortune 500 companies including Carson Products, Revlon Professional and Colomer USA. Hoffman is a top-tier strategist, dealmaker and business development veteran with over 28 years of experience. She advises bold thinking executives and Fortune 500 companies on business growth through assessimg, creating and executing new markets, diversity and innovative strategies. Given her world class rolodex, she’s also paved the way for countless deals and growth opportunities for and with the “diverse elite”; a $840 billion market. 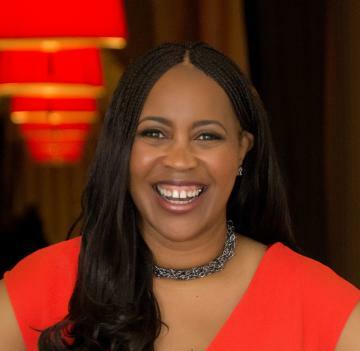 She is also the co-author of Black is the New Green, considered by many to be the guidebook on successfully accessing and engaging high net worth African American consumers. With the book’s release in November and a national book tour that begins in 2016, Kathey and Andrea are poised to educate and inspire their target audience with tremendous impact, while shining a light on their current economic power. BlackEnterprise.com caught up with these two author-extraordinaires to discuss African American women entrepreneurs, challenges to creating and maintaining business viability and how their new book helps to focus women on scaling success.